Today is a day that feels shiny fresh and new. When I awoke this morning and shook off the soil from my head I stretched and uncoiled with great excitement, for I knew this was the day I would see the sun. In the early morning chill I felt the first rays of sunshine begin to warm my face and even though my toes were still damp, encased in mud, I knew the way to grow was up. I shall have a productive place in this world. I will carry out the instructions in my genetic code and travel along the journey of who I am supposed to be. I will be aware of all I see on my way and my memories will paint a portrait of a life well deserved. My name is Stinging Nettle. I am tender hearted and little now, but when I am all grown and prickly and sharp I shall still have the tender heart, although you might not be inclined to look for it. If you are brave and can see through my layers of thorns and irritating chemicals then you shall see the seedling that is still inside of me. 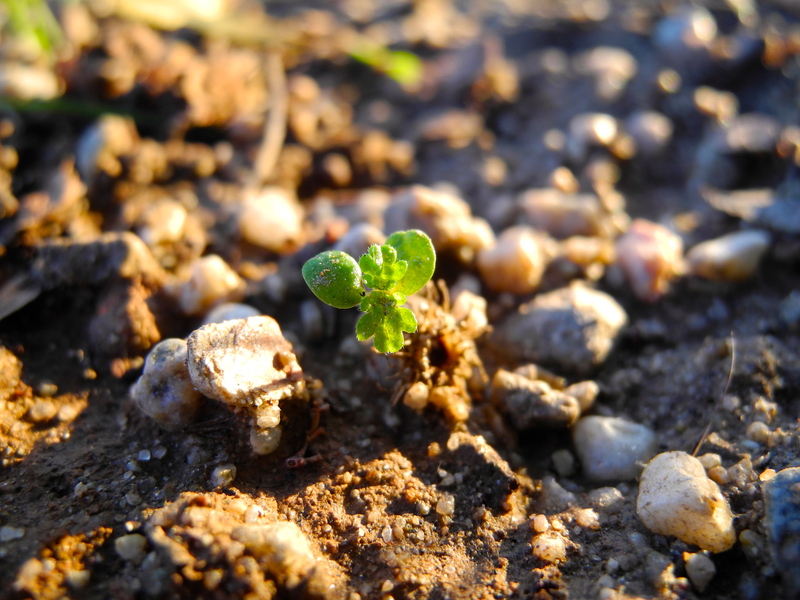 Do you have a seedling inside of you as well? With a simple choosing of our state of mind we can start afresh and give thanks to Spring and the higher power who uses hope each day to wipe the slate clean so we can rise fresh. Oh, thank goodness for the beauty and tender gifts of new life and new beginnings! Thank you so much, Ntexas. I am happy to see you visited me! I hope things are going well for you. Thank you Aina. I do some of my happiest work while playing in the dirt. Stinging Nettle really is fascinating, with all the remedies, recipes and reported medicinal uses for it. I think one use is to relieve arthritis pain, but I laugh about that because it seems the pain a stinging nettle inflicts may simply “distract” from arthritis pain! Thank you Kavi. I sincerely appreciate your visit and kind words!